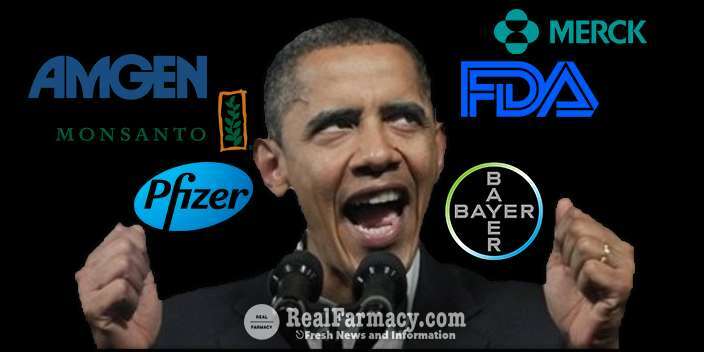 Those of you who care enough know how Obama has stacked the FDA and USDA with Monsanto cronies, even after using his false stance of labeling GMOs to get elected the first time. Even Wall Street is well represented in the Treasury Department for bailout ease. The trend continues to worsen with the latest stir about Obama’s nominee of choice to head the FDA soon, Robert M. Califf, MD, who formed the Duke (university) Translational Medicine Institute to speed up drug approvals. As part of that institute working hand in glove with the pharmaceutical industry, Califf benefited financially from Big Pharma directly and indirectly. It wasn’t just grant money for research, a fair amount of Big Pharma funding augmented his salary as well. In other words, Califf is a Big Pharma crony. A conflict of interest form Califf filled out confirms these reports. It’s available here and well worth a look. According to the Institute of Medicine, a conflict of interest is “… a set of circumstances that creates a risk that professional judgment or actions regarding a primary interest will be unduly influenced by a secondary influence.” That secondary interest is usually money from wherever, and it was probably the primary interest to begin with. Federal regulatory agencies with the ostensible purpose of protecting the public health by regulating food, pharmaceutical drugs, and agriculture are heavily infiltrated in key decision making positions that are compromised by our revolving door system of allowing a free flow of key personnel among related government and corporate positions. Here’s a sampling of how Monsanto has successfully found its way through those revolving doors, courtesy of Sheep No More. An excellent recent Big Pharma example is how Julia Gerberding, former CDC head, was placed as president of Merck’s vaccine division. The CDC’s main job under Gerberding was promoting vaccinations while downplaying adverse reactions, even falsifying flu statistics during the swine flu epidemic that wasn’t. Julia was in charge of the CDC when whistle blower Dr. William Thompson and a few of his CDC colleagues got rid of autism evidence regarding the Merck MMR vaccine. Julia was aware of that evidence and allowed the evidence to be destroyed, according to Thompson’s report. She also has been a big time share holder of Merck stocks. She dumped some $2 million worth of her holdings at a profit to “prove” no conflict of interest but reportedly still retained another $2 million worth of Merck stocks. Amazingly, despite Florida congressman Bill Posey’s efforts to bring Dr. Thompson’s evidence under further congressional scrutiny, nothing has been done and probably never will be. Califf’s position is that Big Pharma shouldn’t be hindered by government regulation. In other words, damn the safety studies. Get those drugs into the market places and take the body count from those who used them after profits have realized. Pharmaceutical companies, in addition to providing generous funding to universities for their research to include favorable results or lose their grant monies, also pay the FDA a registration fee for every approval. They’ve been known to hire ghost writers for favorable academic or journal reports and pay doctors to sign-off on those ghost written reports. Then Big Pharma goes after dissenting medical doctors and ruin their lives with lies about their discoveries. Or they have the FDA raid supplement companies or ban “dangerous herbs”. So Califf’s proposed medical axis of evil, combining the drug companies, academia, and the FDA to streamline drug production is becoming more upfront than ever before. This personal careerism based axis of evil is a very lucrative for its participants. The push to make pharmaceutical drugs faster and more cheaply is absurd if you take the time to look over the field of dead bodies strewn from approved and correctly prescribed drugs. Big Pharma’s body count at its most conservative estimate is 100,000 dead annually from correctly prescribed drugs, according to a decade old JAMA (Journal of the American Medical Association) report. Other estimates are higher, and over the counter (OTC) pharmaceuticals aren’t even considered, even as many thousands per year are admitted to ER with livers in crisis from acetaminophen. This is all bound to bring more misery to an unsuspecting and totally duped large base of mainstream medical consumers who are insured enough to be steady customers for the most lucrative business in the world. There should be no revolving doors among regulatory agencies and the industries they supposedly monitor. And their should be greater transparency of the government’s activity of assisting corporations’ bottom lines instead of protecting consumers. Tagged crooked health care, FDA, government. Bookmark the permalink.